Online liquor retailer, Paneco leapt onto the alcohol distribution scene in 2015 when it was first founded in Israel but quickly expanded to Columbia, Mexico and Panama in South America. In 2016 Paneco launched in Singapore as the base for distribution in Asia – to help fulfill its vision of “being the Amazon.com of alcohol in the world”. 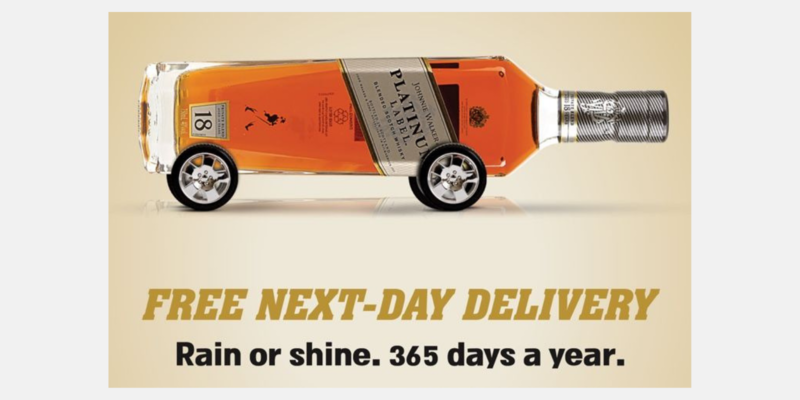 Today they are the fastest growing online liquor retailer in the world. The localized sites ensure that Paneco tailors to the tastes of the different countries and adapts to their preferences. When CEO, Jonathan Cohen, started the Paneco.com brand in Singapore, he faced a decision. Use an off the shelf solution that meets some of our needs or develop a fully customisable and scalable e-commence platform. Soon after CTO, Benjamin Sion joined, and the pair shared a vision to build a world class alcohol e-commerce platform and brand. A key requirement for the pair was that the company had its own IP. This IP had to add value to the company, capturing data and analytics as well as consumer behavior and patterns around alcohol purchases and consumption in Singapore. They understood that with these features and data it would allow the management to grow the business rapidly with informed decisions based on sales, geography, procurement and seasonality. It was also paramount that as much of the processes could be automated based on the data so that the team could focus on core tasks. With those requirements and with that vision in mind, the only conclusion was to develop our own platform and leverage off best in class open source technologies. Benjamin is an advocate for open source and we evaluated several frameworks and technologies before deciding on Spree. We found the Spree framework to be the most robust, scalable and configurable solution. 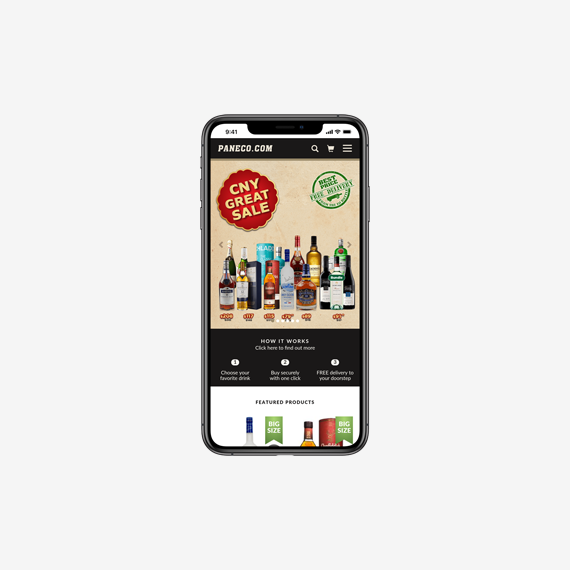 After some initial prototyping, we realized that the Spree framework was a very suitable choice to create a world class, multi-region alcohol eCommerce store. Technical considerations, like the highly customisable nature of the architecture through the use of extensions, allowed us to develop additional features that were not part of the framework and unique to our industry. This included features like “Happy Hour”, a concept where we translated the experience from a bar to a online retail experience where customers can get time based discounts on their favorite whisky, gin and vodka cocktails and assortments of beers. The out of the box social network and email integration allowed us to rapidly extend so that we can identify and target specific customer preferences such as if they prefer whisky, champagne, cognac or wine and then target specific campaigns through dynamic remarketing with particular products or taxons that Spree provides. The fact that the framework was based on Ruby / Rails was a huge plus for us as the framework and language is quick to develop new features and the runtime is rapidly improving with the changes to the Rails core. Since we launched we have observed huge memory and performance improvements (about 40% reduction in memory). The testable nature of the framework along with our continuous integration and automated test suite, means we are able to deploy new features to production several times a day which was one of our key requirements. One feature of Spree that we thought could be improved was the checkout process. We consulted with UX experts and devised and developed a simple one click payment process for registered users. This reduced the number of forms and fields on the checkout process, despite requiring delivery details. We saw immediate improvements to conversion once we released this feature and still get many complements from users on the simplicity of the checkout process when ordering liquor online from Paneco.com. The pluggable nature of the promotion system, has allowed us to easily develop some customisable promotions. One such type was a free gift with purchase. We did not want to make reversals on the invoice as this was confusing to users. Instead we developed a way that a product was added for free, provided the promotion conditions were met. For example if a customer ordered 2 bottles of Johnnie Walker, then automatically 1 bottle of Monkey Shoulder was added to their cart when they applied the promotion and the price would say “FREE”. This type of messaging in the cart helped convince users to purchase rather than have to verify prices with order promotion reversals. As a result we saw a 11.4% increase in conversion from this approach. Whilst not necessarily revolutionary, the product review system has allowed us to build a community of user feedback and recommendations where beer aficionados or amateur sommeliers can recommend to others their favorite beer, single malts or red wines. On top of that we have extended the product feature set to include flavor profiles and expert reviews where professional reviewers provide a review or recommendations of all our products from wine to whisky, champagne to cognac and everything in between. Finally, using Spree has allowed us to run a high scale website on minimal hardware. We have been able to scale out very easily with very little additional cost by focusing on caching strategies in RoR and Spree. By utilizing caching implemented by the Spree Core, we have kept our hosting costs down as we scaled out cheaply with cache servers (for search and pre-render and CDN) and reduce DB queries and drastically reduced our compute usage. The added side of effect of this strategy has been 20% improvements in performance. There were very few challenges, that we faced. 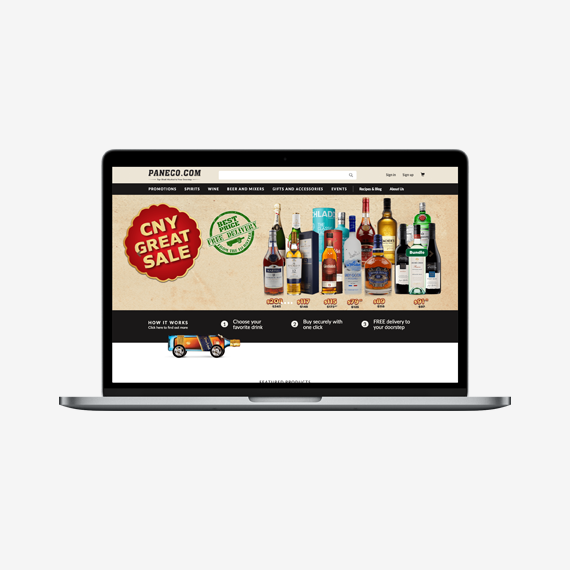 We had a clear vision for an e-commerce store where customers could order top shelf alcohol for a price cheaper than anywhere in the Singapore market and have it delivered in an efficient and reliable manner. The Spree framework made the development and customization of the store quite straightforward and saved us many man years of development had we decided to build completely from scratch. This allowed us to go to market faster and build a dominant market share in Singapore. The Paneco.com website is based on RoR with the Spree Framework. Our search engine is based on ElasticSearch, and we use relational and datastore databases (Postgres DB and Redis). We then use various combinations of in house developed and 3rd party applications for things like email, analytics and monitoring. The Paneco.com Singapore Mobile app for Android and iOS interfaces to our backend through the Spree API. The API provided by the Spree Framework made the app development relatively straightforward and allowed us to launch with all the same features of the website. The last component in our tech stack, is our IMS. Our website (which is built on Spree) interfaces to our IMS directly through an API. The IMS was developed in-house using the data models from Spree. This system has been completely developed to our needs and is customized for the unique requirements for our industry. 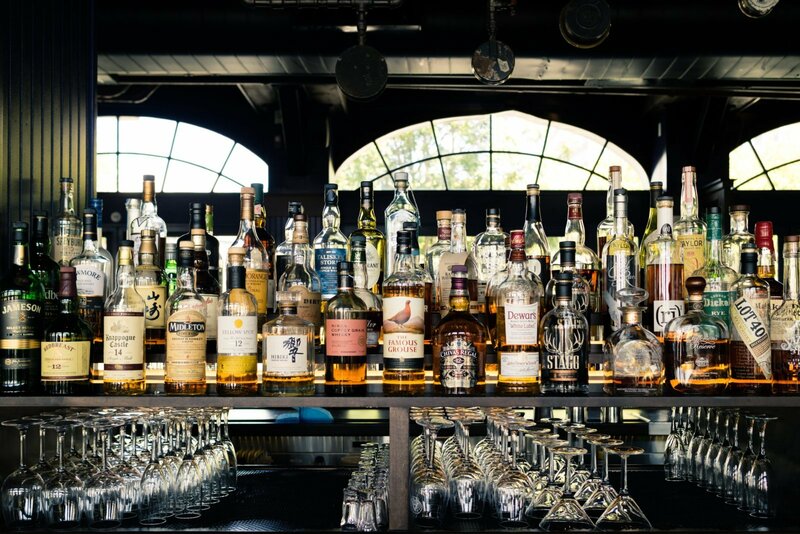 Each country has it’s own unique regulations with regards to alcohol and online retailing of liquor, and our IMS is customized for things like the import of spirits, wine and beer as well as the tax schemes required in Singapore and other countries in the region. One of the key features of the IMS is it allows the operations team to manage inventory, procurement and pricing in a completely automated way through reports, alerting and some basic AI. This separation of concerns, allows the Panceo.com website to focus on being optimized for usability, content and responsiveness so that customers can purchase their favorite alcohol easily online and the IMS is optimized for operations, logistics and market behavior. The IMS that we developed based off Spree data models, is a sophisticated procurement and inventory management tool. It allows us to streamline the business on the operations side. We built this system to perform market behavioural analysis. For instance we can segment customers or sales by geography to know which bottles and which brands are sold in which region. For instance, we observed interesting trends where Champagnes like Veuve Clicquot and Dom Perignon and high end single malts like Glenfiddich were being purchased in the downtown area of Singapore and then beers like Hoegaarden and Corona were purchased out of central area which we attributed to home consumption. The Paneco.com Singapore website ranked in the top 1M sites worldwide after less than a year and is still rising. Paneco.com.sg is also number one ranked site for the alcohol beverages in Singapore as ranked by Similarweb and Alexa. We were able to achieve this by leveraging off the Spree framework’s native content management, SEO and performance and site speed benefits. The out of the box SEO support (both in the core and add-ons) allowed the Paneco.com.sg site to begin ranking very quickly with search engines, to a point where we are indexed daily by many. The Sitemaps add-on plus the fact that much of HTML was written in semantic fashion, plus adding support for schema.org metadata helped tremendously with our SEO efforts and ranking. We see the results of this where we are ranked first or second in Singapore for keywords like “Whisky”, “Vodka”, “Champagne” and “Alcohol Delivery”. Much of this was plug and play with the Spree framework, which meant we had it from day one. For things that were not there, like schema.org support, it was a day of development and it was in production. Spree provides several addons for social and email which we customized so that we could customize the product advertising to be specific to each customer via social advertising and email distribution. This meant, once we had acquired a customer, we could serve more relevant content to them via these channels. Such as, when a customer who browses our whisky selection looking for Hibiki, we can serve them dynamic adds on social media for other Japanese whiskey. Similarly, based on cart behavior, we are segmenting our emails, so for example, a person who bought Guinness is emailed other promotions of beer we may have active like a Belgian Ale Promotion. The integration with ElasticSearch is simple and easy to configure. This meant we allowed customers to perform fuzzy searches on our product listing rather than a DB search. This is especially relevant for the online liquor retail industry as there is a 23% rate of misspelling of products. For example, we often see searches for “Shivas” or “Chibas” instead of “Chivas Regal”. The fuzzy search support meant we were still able to match and show our selection of Chivas Products to customers despite the misspelling. The other advantage of using an indexed search result is because those results are cached, the subsequent search results are much faster. The ElasticSearch integration made it easy to find the best matches and because the searches are indexed, the results are served in a very timely fashion (search results take about 100ms to return on average). Because the Spree Commerce Framework is built using RoR, this meant that our web application was fast from the start. Since we have launched we have upgraded through 5 different version of Spree. Upgrading was always simple and with each upgrade we have seen either stability improvements or performance gains of about 3-5% on average. We also analysed the search engine analytics (based on elastic search) to find which beer, wine, whisky and spirits people are searching for. With that information we knew which products to promote or became fashionable during a certain period or season. For instance, we started seeing more searches for Champagne leading up to the New Year period and so we customized our advertising with products like G.H. Mumm and Perrier Jouet.